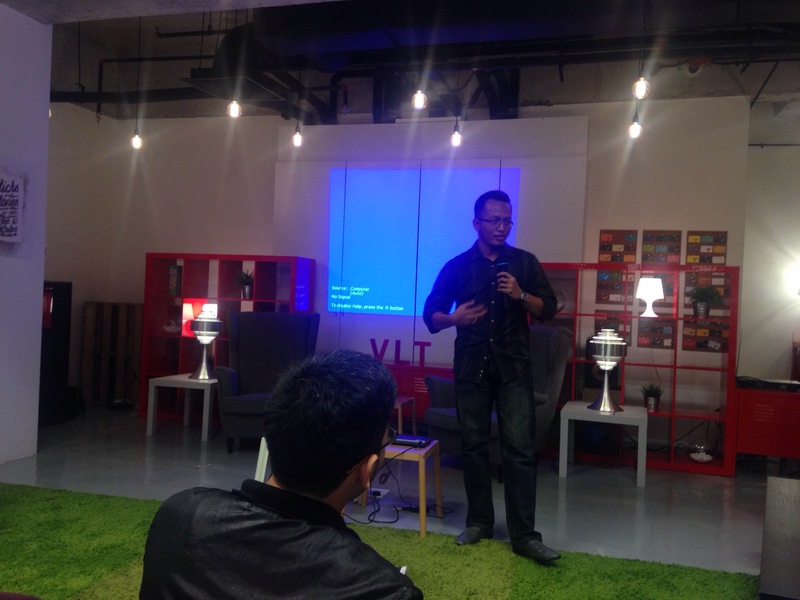 I am on a week long vacation in Kuala Lumpur, but after getting to know about Growth Hacking Malaysia event on 2 Dec, I took a break from sight seeing to see startups in action. 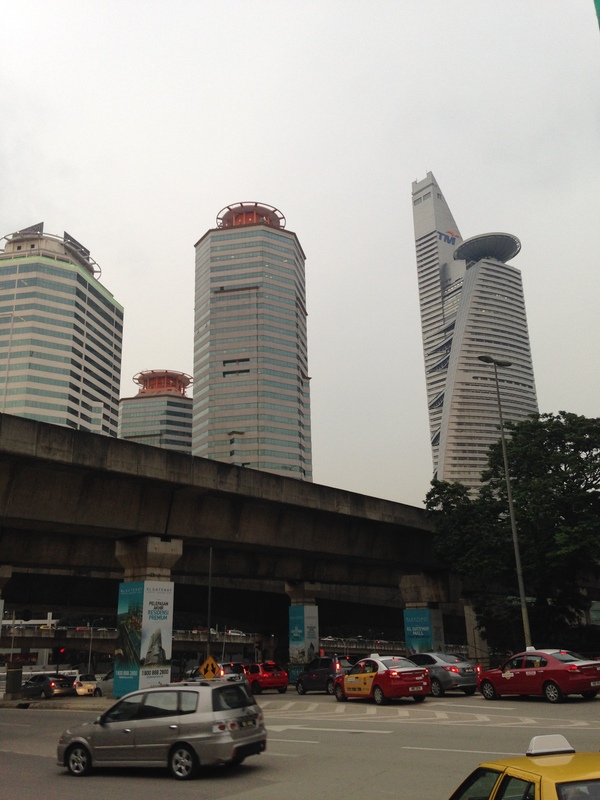 I was in Kampung Baru doing jalan-jalan (stroll) of this modern village. I took LRT to Universiti and tried to book a app-hail a taxi using EasyTaxi with no success. Tried it with regular MyTeksi, failed; but finally succeeded with Executive Class on MyTeksi. The app is sleek showing me minute-by-minute, as the driver approaches me. An hour later, I’d meet the Managing Director of rival taxi service! 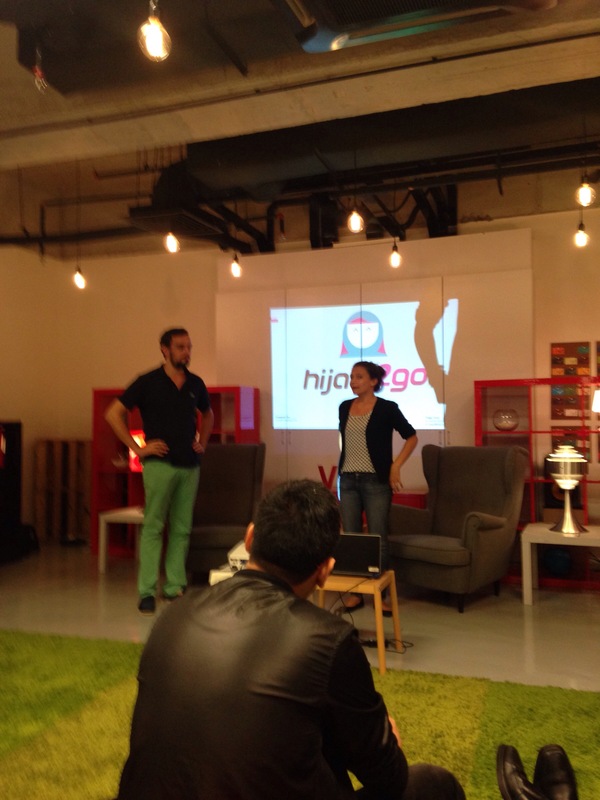 The organizer, Anna Rehermann introduced Easytaxi Regional Managing Director, Joon Chan. He started interactively by asking us what Growth Hacking meant. He elaborated them with examples. Growth hacking means getting users through various Channels – Adwords, poster, Facebook etc. You need to measure efficacy of them by say, Market research – call n ask user of the week. Depending on ROI from them, you put marketing money. 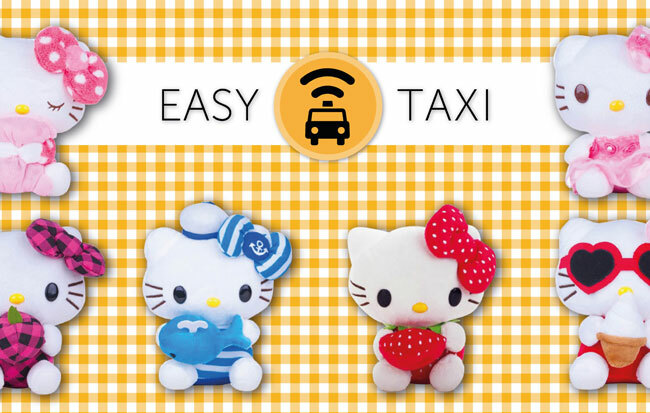 EasyTaxi began its Malaysia operations in May, 2013. In the beginning, you ask your friends. He took 20 friends to TGIF, got them to install the app and try it out. Important point here is to go on till you exhaust channel. Pick all the cherries. Easytaxi got sales done through its rival’s drivers! It’s true. MyTeksi did 10 times more transactions per day than EasyTaxi. So, he invited 1000’s of MyTeksi drivers for a nice buffet dinner and handed 4000 handouts to each with unique code to measure referral. The drivers handed them to their passengers after the trip. Discount and commission was his cost for this campaign, but gave a large no of new clients. They continued this till MyTeksi modified their driver agreement. Another nice campaign was using 4k Hellokitty toys. 40 drivers everyday would hand it to those who ask it using hashtag #easykitty. First day, they had 500 requests, next day it was 4k, and after this it skyrocketed to 16k. As soon as an office girl put it on desk. it went viral. They got 18k users with 16k investment. They conquered building after building. An example: Just HP Tower emptied a quarter of its supplies. It’s important to do campaign again. Make this a Weekly process. They experimented with Power user program, as other channels like FB became costlier. 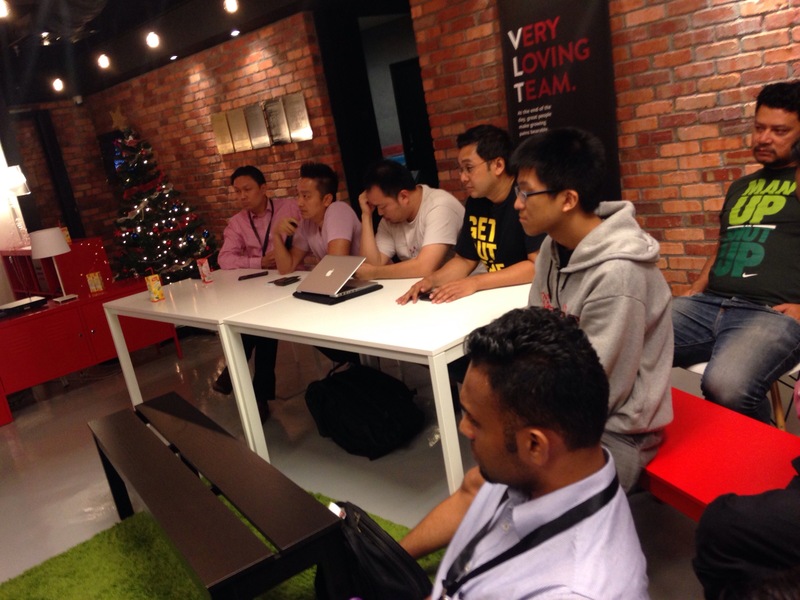 EasyTaxi has a Data science team for voucher. While they use EDM (Electronic Digital Marketing) channels, they tried novel ideas. Instead of using mailchimp, he used his personal email, WhatsApp with Malay, Chinese, Indian girl persona. In Vietnam, app and mobile internet doesn’t work, as people mostly call. Do, he used Predictive dialing effectively. EasyTaxi continues to execute underdog strategy. Keep in touch with the company on Facebook page, EasyTaxiMy and @myEasyTaxi. After this, we had 3 startup presentations, who got nuggets of advice from the expert panel comprising: Warren Tan (CEO, VLT) @warrentan, Andrew Tan (Director, VLT) Linkedin profile, Zafrul Noordin (Founder @ Code Ar.my) Linkedin profile, Daniel Cerventus (Founder @ NextUpAsia) Linkedin profile, @cerventus. The first one was Hijab2Go. But, Activation has been poor. While they are able to get a lot of users. He wanted help on that. The experts suggested to put stall at Putrajaya targeting Malay auntie in Govt agency, who have a lot of time! 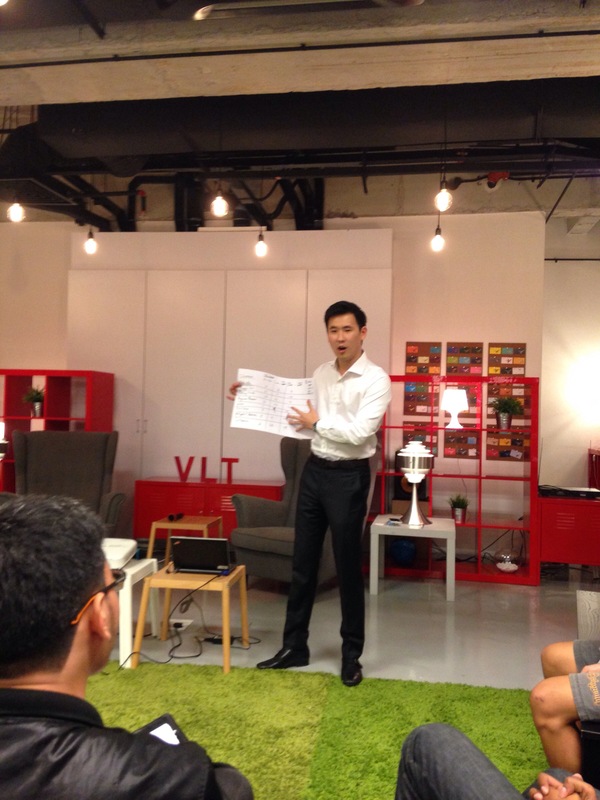 The second pitch was for a tutor software and marketplace by Sam Xiaong. He did not use a deck and enthusiastically explained his idea. Tutors incl music tutor and students find it hard to keep track of lesson missed, dues left. So, FindMytutor.com.my will provide a tool for the same. He is also looking for Copywriter, social media intern, designer, developer, so reach out to him. The third pitch was Metofu – food for those who want to lose weight. He explained how he gets food from caterers and does lunch delivery. In the beginning, he was doing weekly, but the cost was high for customer, so he pivoted. His pitch was found ot be confusing by the experts. They asked him to develop nutrition food content in Malay. Have Facebook group of trainers. At the end of 3 hours, we were wiser and most are looking forward to next month’s meeting. Prasoon Kumar grew up in the Bokaro Steel City of south Bihar, now Jharkhand. He studied Computer Science and Engineering in IIT Kanpur. For job he moved to the land of opportunity, United States. He was there in the bay area through the internet revolution of mid to late nineties. He spent time admiring the beautiful coastline of California among other things. He moved east coast to the New York after the turn of the millennium working in a brokerage startup. Afterwards, he is back to India for good. He has been working in the enterprises and internet startup, enjoying the city life. He has a beautiful wife, a young 6 years old daughter and 12 years old son. Posted on December 3, 2014, in Digital Media, Economy & Business, Facebook and tagged Growth Hacking Asia, Growth Hacking Malaysia, Malaysia. Bookmark the permalink. 1 Comment.